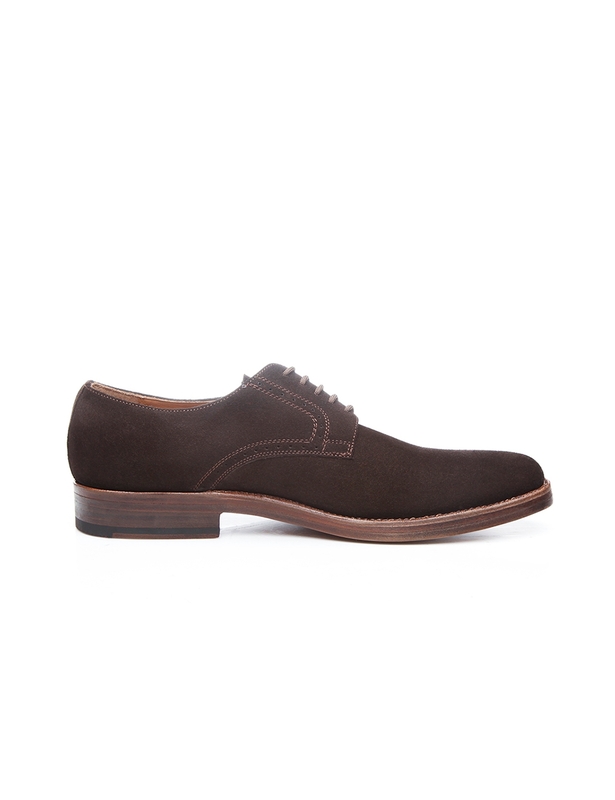 Soft Calfskin Velours The calfskin used here distinguishes itself from typical velours in terms of its quality. 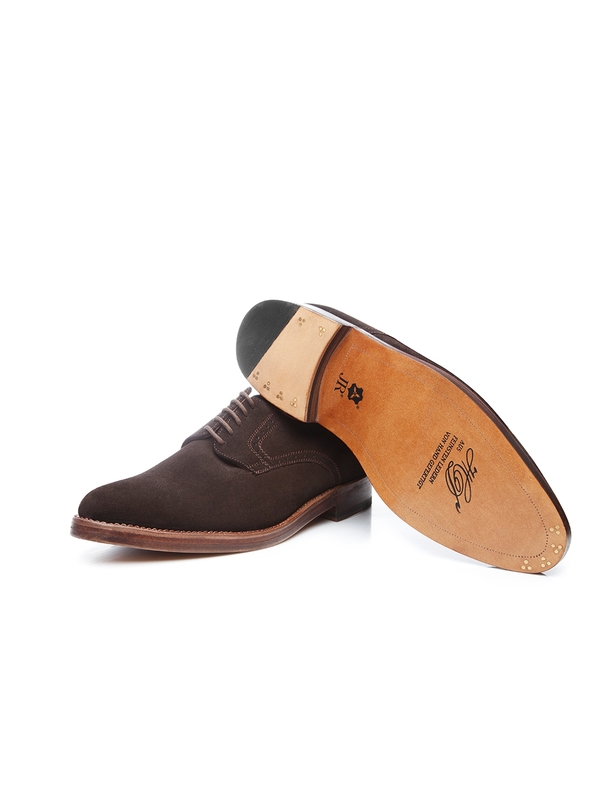 It is light and comfortable to wear, easy to care for, and can be brushed and washed. 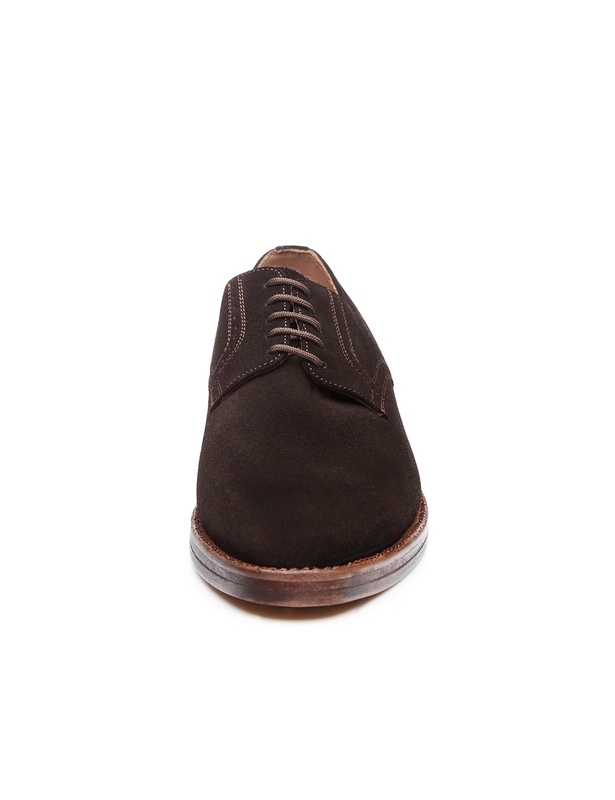 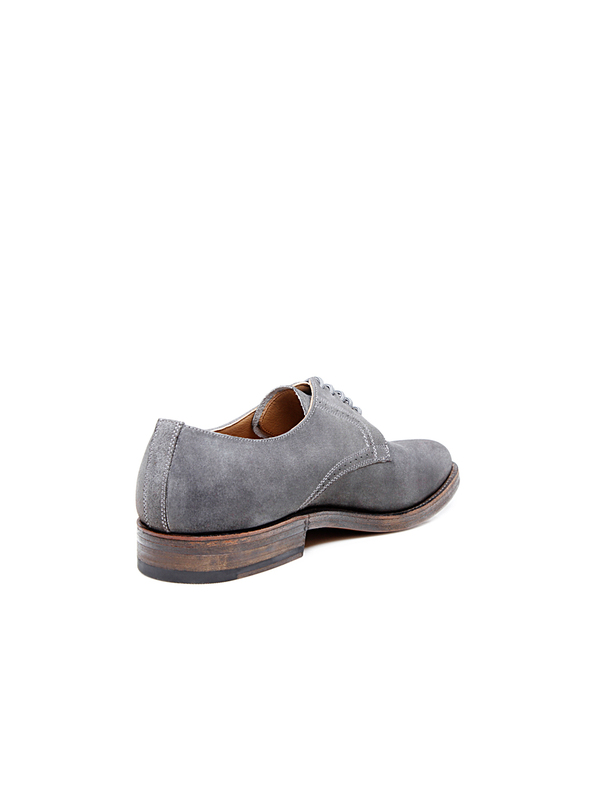 This subtly decorated, classic shoe is a perennially popular Derby with open five-eyelet lacing. 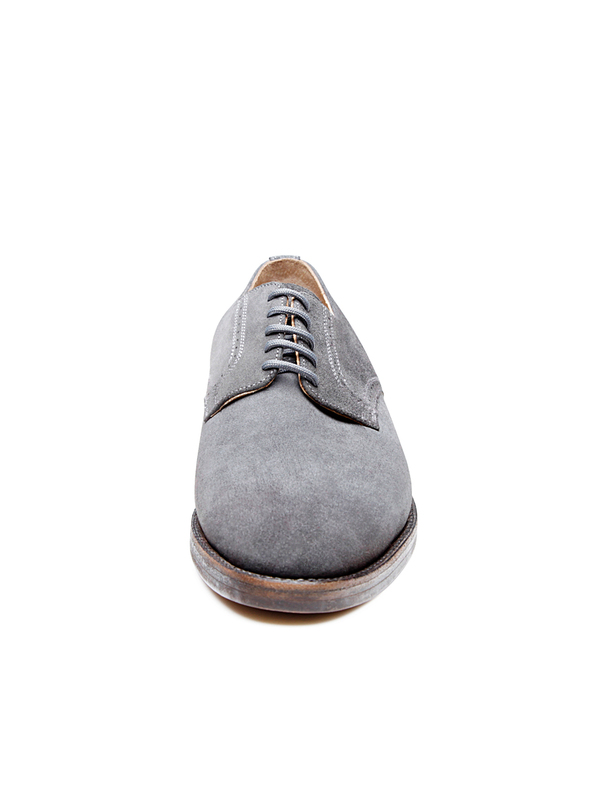 Only its quarters feature delicate Lyra perforation. 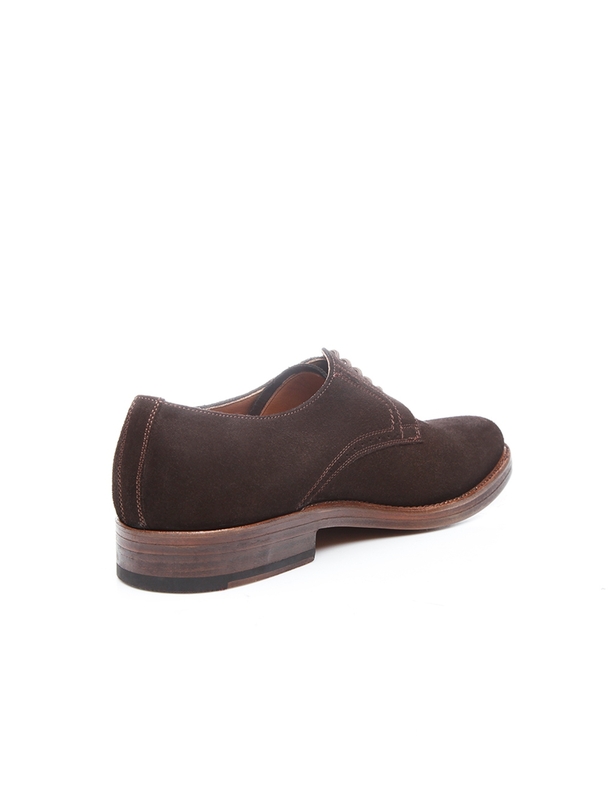 Meanwhile, the material used to make the upper — soft calf velours — lends the shoe a modern look and feel. 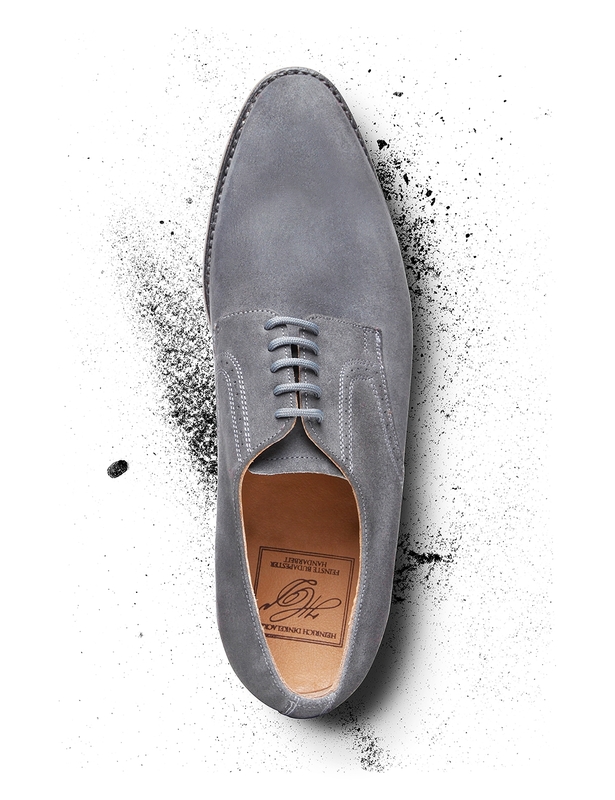 Unlike conventional velours, calf velours is taken from cow leather that has not been split (full cow leather), whereby the grain is processed on the outside. 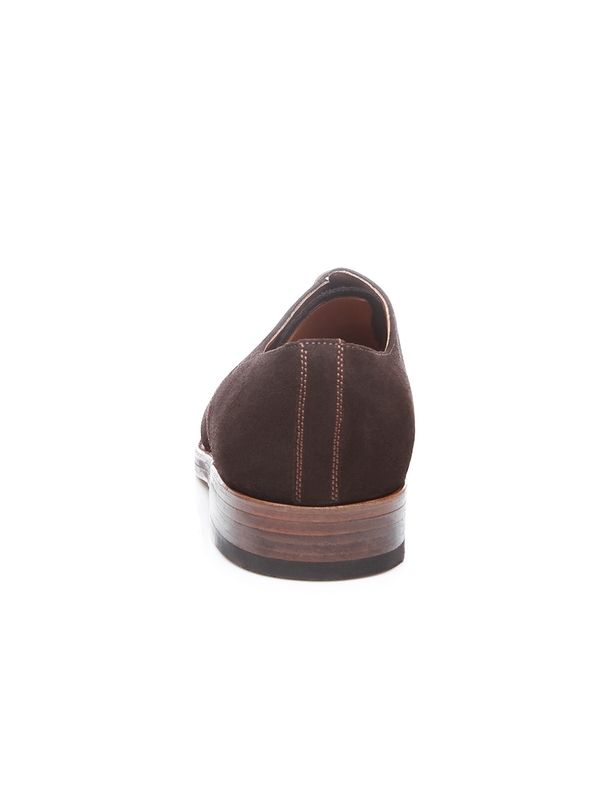 Calfskin velours can be easily brushed and wiped clean with a moist cloth, making this full-leather shoe suitable for wear under poor weather conditions. 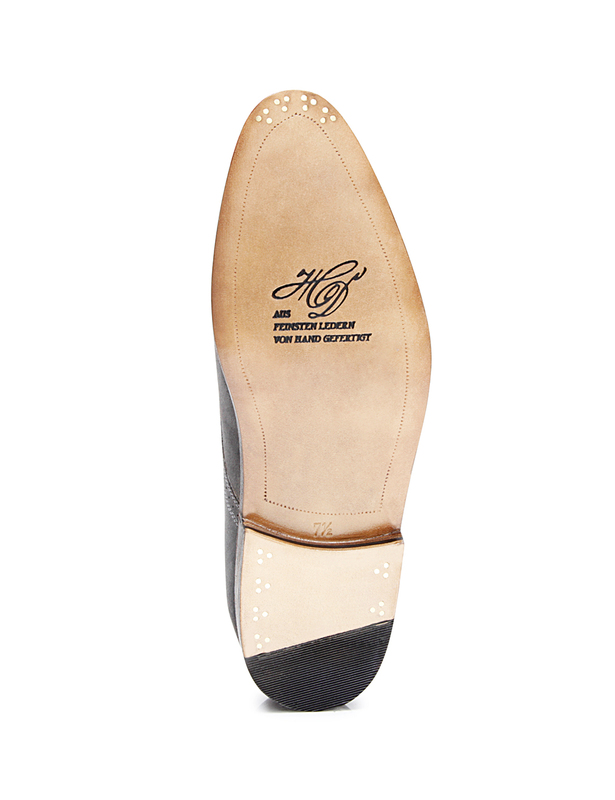 This model has also been made using a gently tapering last, making it a perfect choice for gentlemen with average-width or narrow feet. 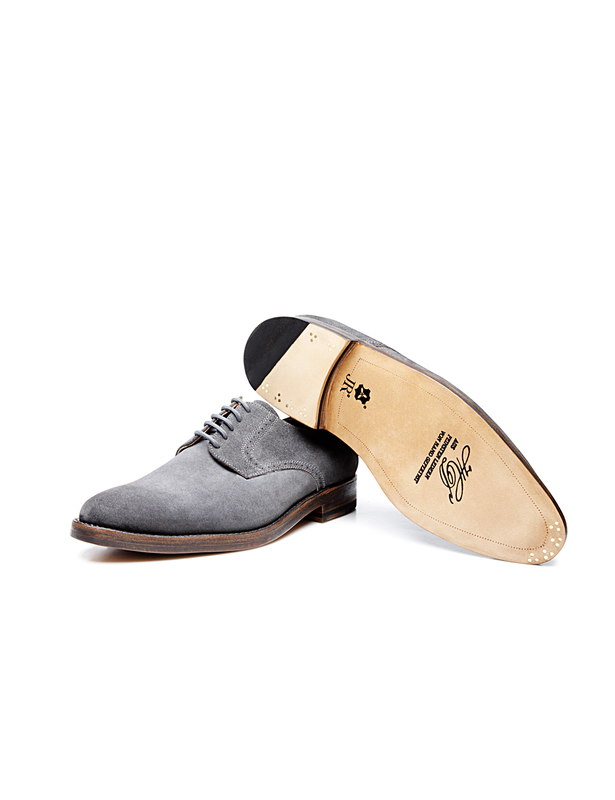 Incidentally, no lesser personage than Edward VIII was the first to combine a suede shoe with a suit, thereby freeing the former purely leisure shoe from its previously rather limiting dress code restrictions. 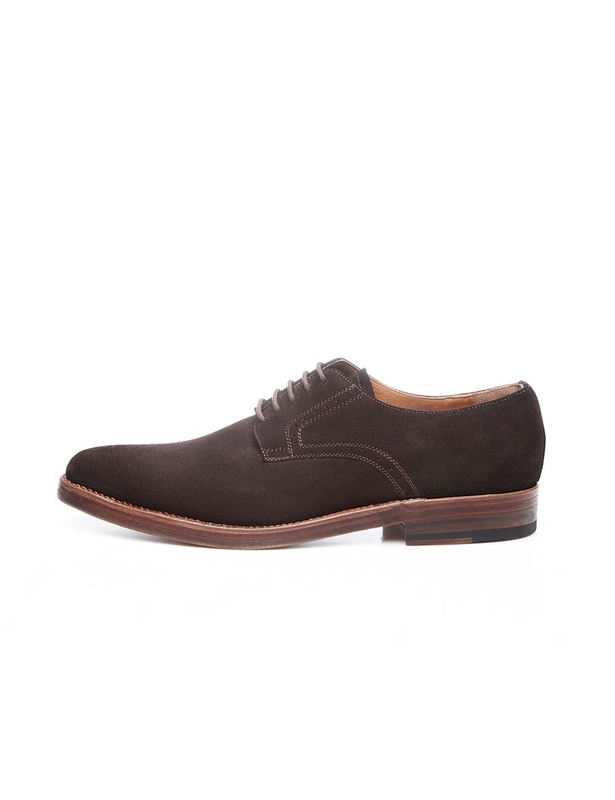 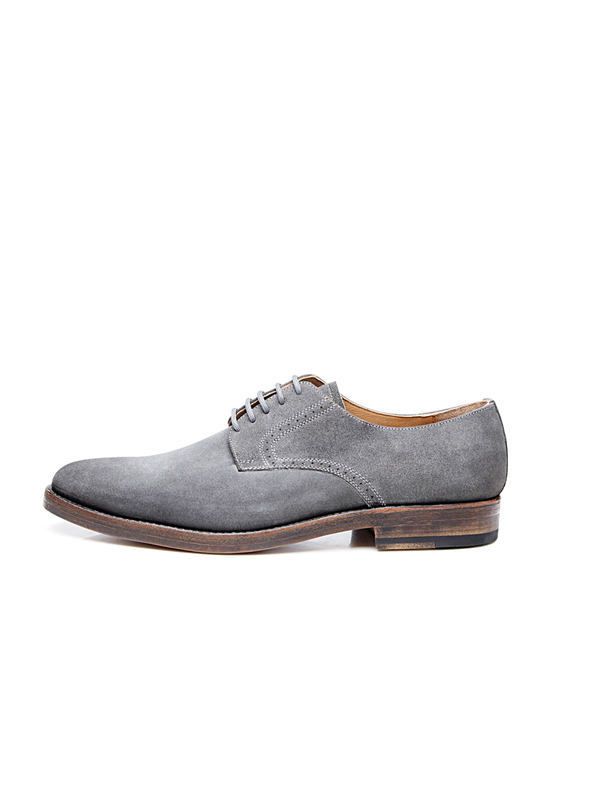 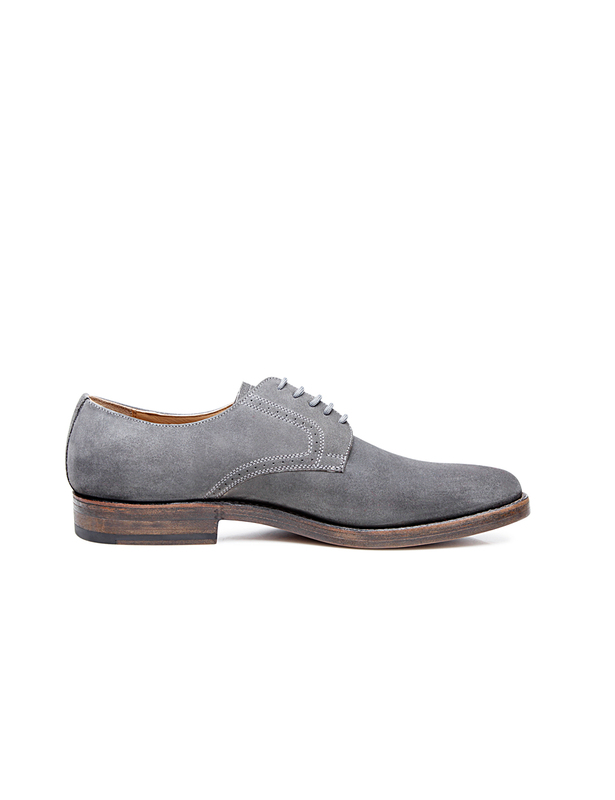 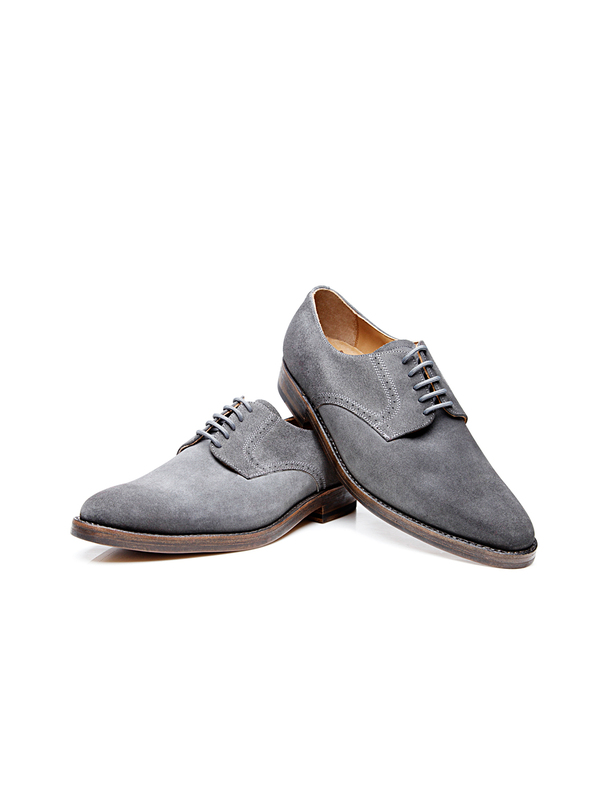 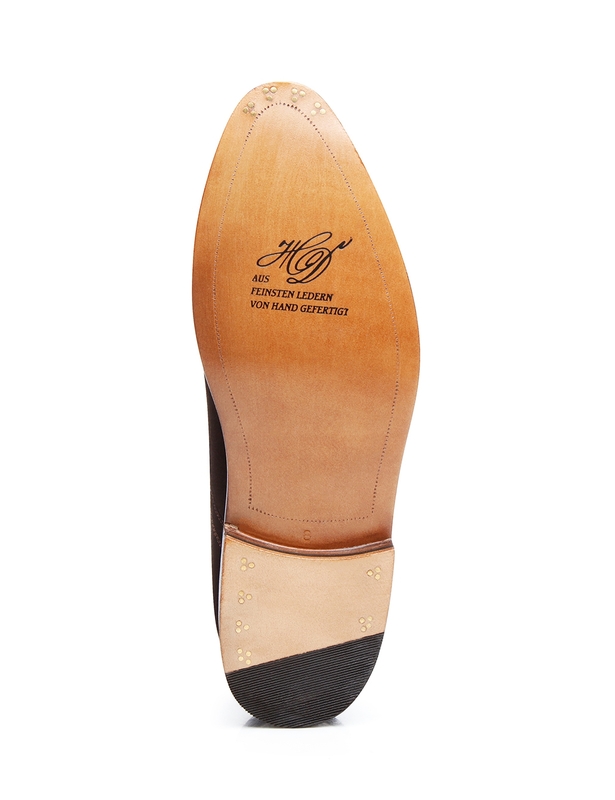 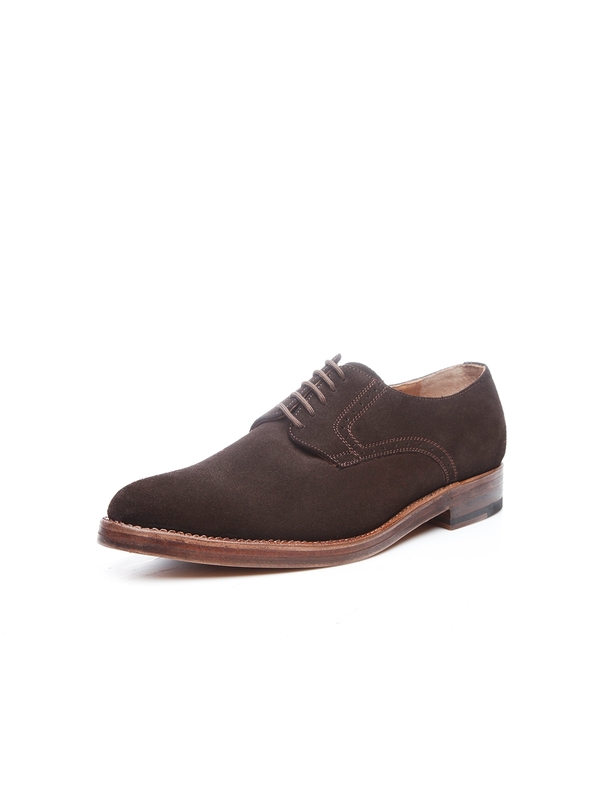 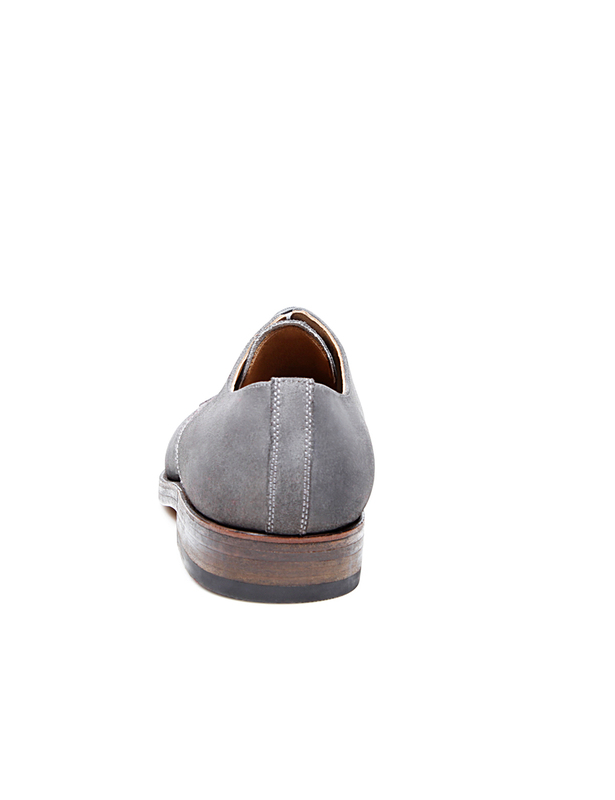 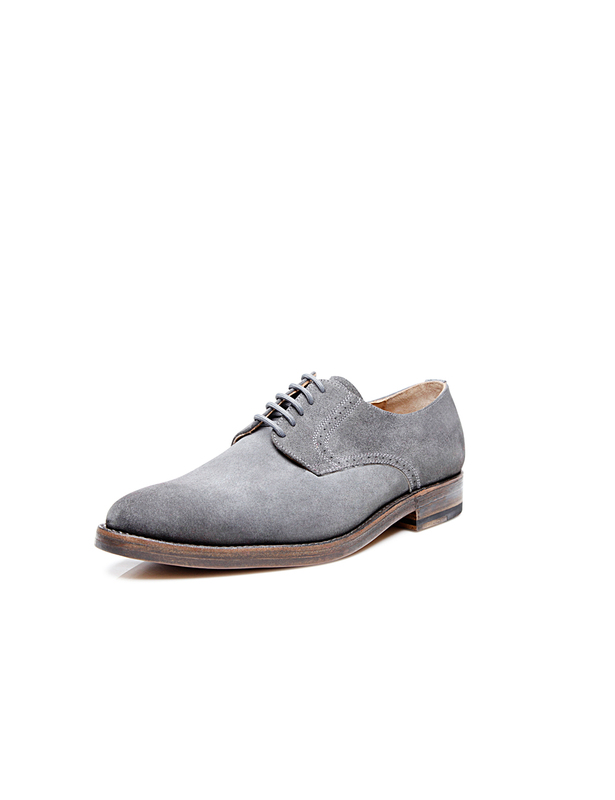 The shoe lovers of today can pair this sewn-welted, handcrafted Derby in soft calf velours with modern business attire as well as with jeans or chino trousers for leisure activities. 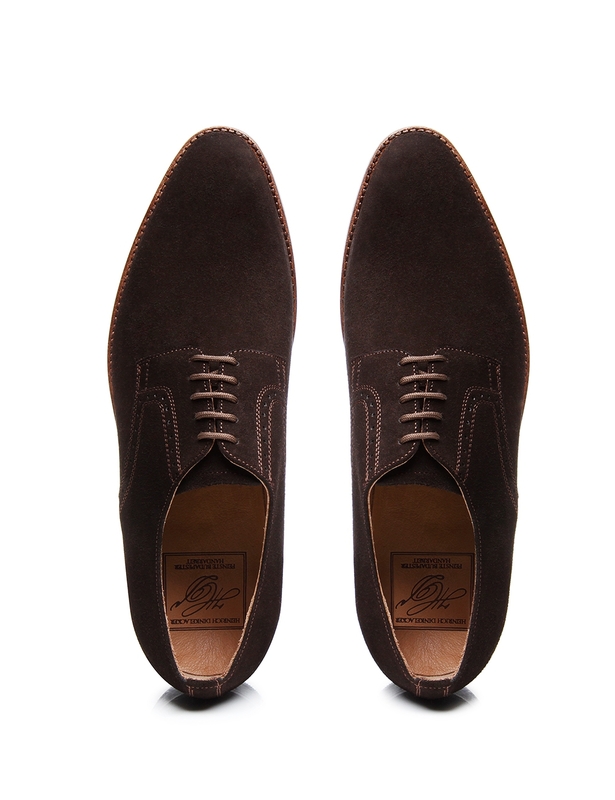 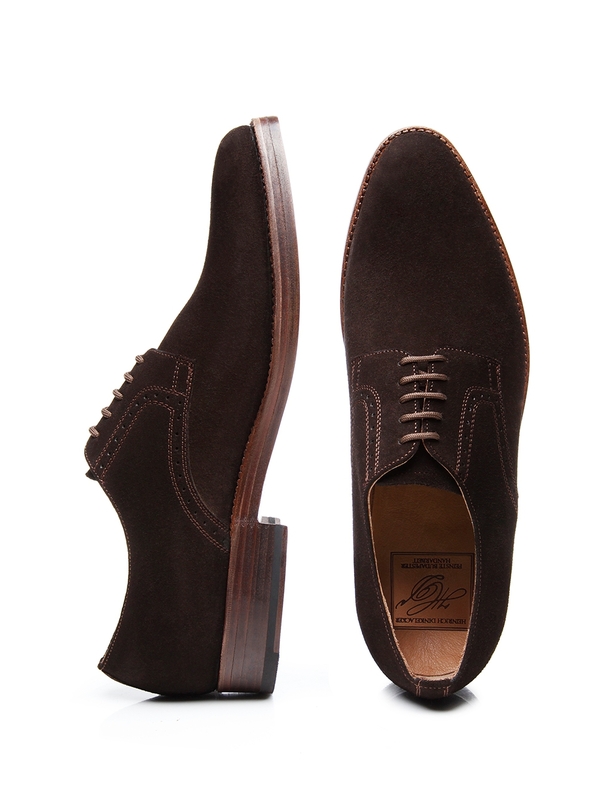 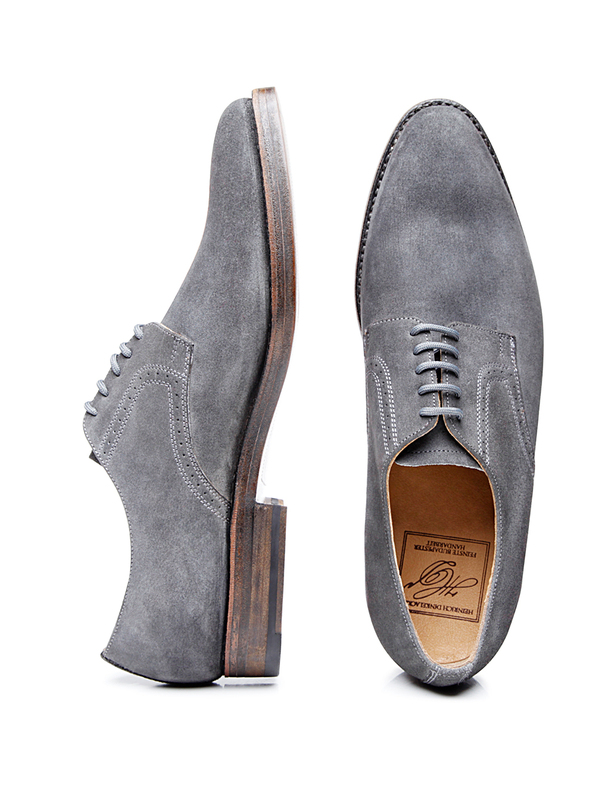 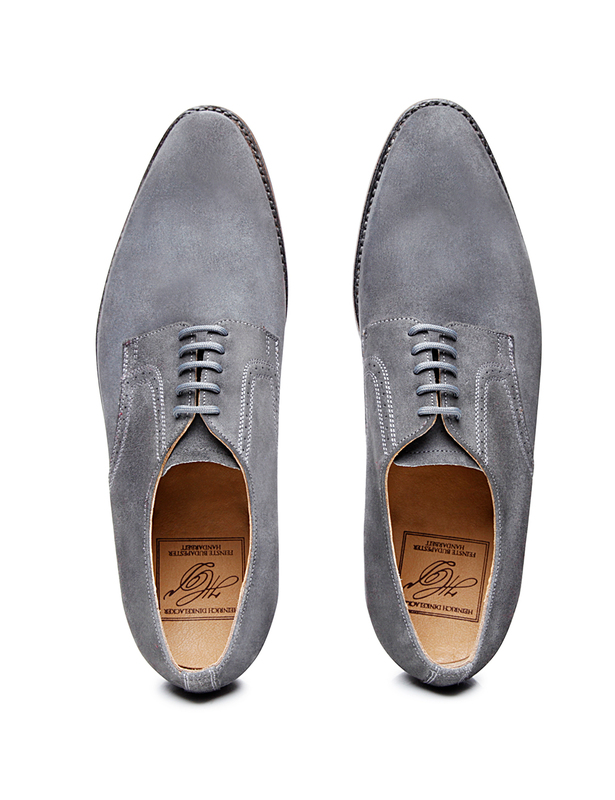 The Derby is available in the colours ‘Espresso’ and ‘Grigio’.